Can I deduct expenses for a vehicle I use in my business? The vehicle tax deduction can be a big benefit for you if you drive a lot of miles for work. So what exactly should you be tracking for this deduction so that you aren’t wasting your time, but also have what the IRS needs? ​Any time you take a deduction for business use of your vehicle, you can either take the standard mileage method, or itemize actual expenses. You do not do both. But either way, there’s an element of deprecation involved. Oftentimes, the standard method gives a better deduction, and it’s much easier to deduct/track. This would likely be a much smaller figure than the deduction for actual mileage. At 57.5 cents per mile, you’d only have to drive 4,350 miles to get that same $2,500 deduction. We have a helpful worksheet on our website that will assist you with this. 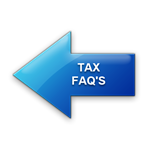 We also have a mileage log you’ll want to keep in the event the IRS questions your deduction. Click here to access these resources!